Every year at this time I have to get out of town. 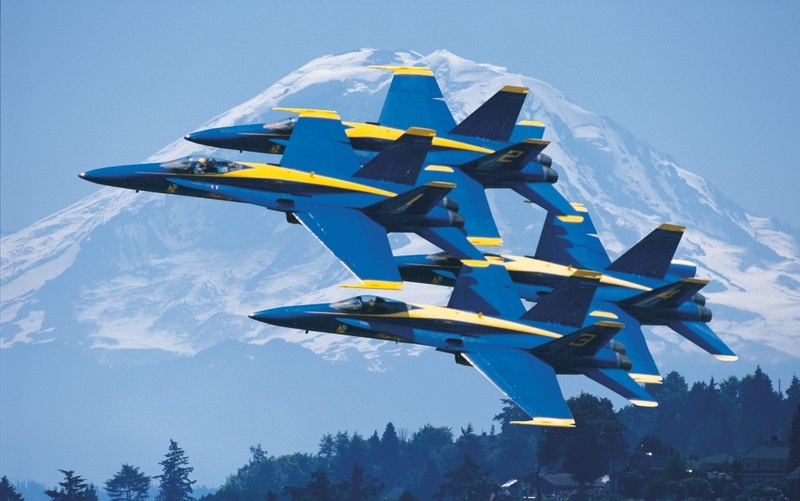 It was Seafair in Seattle, when Blue Angels buzz us from overhead. I had stopped by our house-on-the-market to open windows, water plants, mow the lawn and pull a few weeds. Gardening at sixty miles an hour, I call it. When the I 90 bridge was closed for their practice runs, I knew the Blue Angels were right on my tail. We are moving to the ends of the earth, a world away in The San Juan Islands, and sometimes I can’t make it out there fast enough. Our island house had been gutted and stripped down to a bare canvas. The ceilings were primed and sheetrock walls taped and mudded. It was all like so much white bread. And as much as I hungered for color, what I had to do was find the right white for the walls. I also knew that there is no such thing as “the right white.” That is why there are more varieties of white than clouds in the sky or fish in the sea. My pockets were full of paint chips, and walls splotched with tests. Finding the right white can take a year off one’s life. Nothing was right. Every white turned either pink or yellow or green if you looked at it wrong. I closed my eyes and remembered the way I felt in my friend’s house on another island. Serene is the word. Despite the fact that her home was custom designed by the esteemed architect, Thomas Bosworth, whereas our house is a remodeled modular, I attributed nearly everything to the color her architect appointed for this and for all his residences. Described in Western Interiors as “a gentle white and virtually shadowless,” that was the white I wanted. But the formula for “Bosworth White” is a guarded secret. I know because my friend tried to get it for me. Our walls are done now. In the hopes of saving a year of someone else’s life, Benjamin Moore’s “White Dove” came the closest. Although I still don’t think it’s anywhere near.